Our family's holiday traditions include: nightly panic over conjuring surprises for the 24 tiny drawers in my kids' advent box, sending holiday postcards weeks after Christmas to a random one-third of the folks we love -- and answering queries from family and friends about holiday gifts for Leo, our eleven-year-old son with autism. I am quietly freaking out over those first two, but thoughtful questions about appropriate gifts for Leo -- I appreciate those, so much. While finding presents that appeal to my son can be tricky, I've become a pro at it and make suggestions with confidence. Here's my advice for parents, grandparents, aunties, caregivers, godparents or friends looking for that perfect gift for kids with special needs. Don't get derailed by age ranges on toy labels, because they don't always apply. One of Leo's all-time favorite toys is a Flip Flop Egg Drop sorting tower that also instantly distracts all visiting adults -- yet the box says it's for 18-month-olds. Try to focus on the child's interests, on what they actually like to do -- this is where interrogating the kid's parents comes in. Leo's auntie know he enjoys winding up things, so she gifted him an emergency flashlight with a crank handle, and he's in heaven. My boy also adores music, but he's better at humming than singing -- so I got him a bag of plastic kazoos. Now he always has a kazoo on hand, and I don't have to worry if one gets broken or lost. He likes to color, but get gets frustrated because his fine-motor skills make staying in the lines difficult -- so we got him dot stamp painters, and the walls of his room are now festooned with colorful creations that make him proud. These are still quite a big deal (and my son Leo remains a huge fan). The big touch screen and wide variety of dedicated apps can make communication, play, and learning so much more easy and independent for kids with special needs. But they're not cheap -- the entry-level model iPad is $499. If, like most of us, you can't cover that cost yourself, consider enlisting family and friends in an iPad fundraiser through ChipIn.com or GiveForward.com. 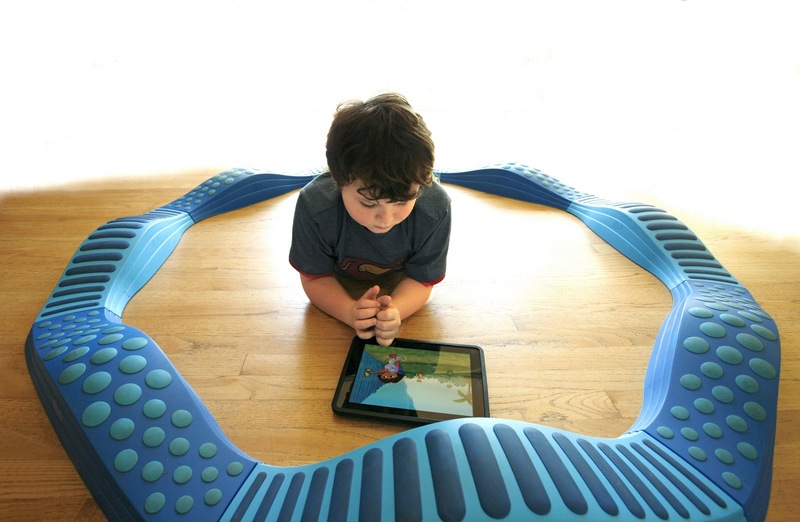 What if your favorite quirky kid already has an iPad or Tablet? Consider gifting them iTunes gift cards for the former, and Amazon gift cards/credit for the latter -- or specific apps that work well for kids with autism. (Did you know there's a Thomas the Tank Engine app? Leo is obsessed.) Another fun option is a custom iPad skin. If the iPad is not something the child's family can replace easily, consider getting them an Otterbox protective case, or even iPad Insurance. The family will thank you. 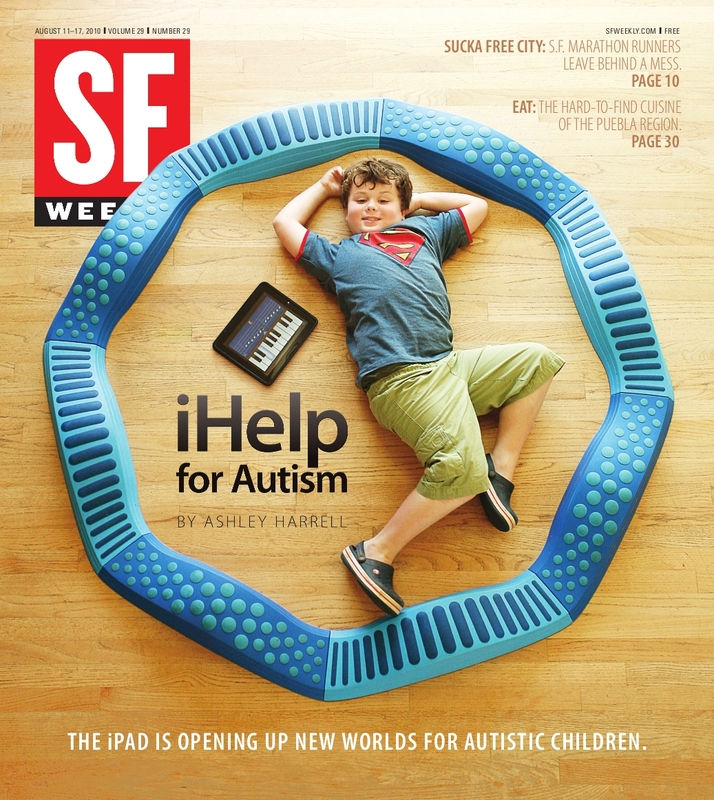 The New York Times recently published an article on finding good apps for children with autism, though the cited resources tend to be rather iTunes App Store-centric. There are also some decent resources for AAC and other Android apps (our family was recently gifted a Xoom tablet, and we quite like it. Established companies like OceanHouse Media and newcomers such as Go Go Kiddo have shown a real dedication to the Android market, and a lot of their apps work well for a lot of our kids. BeyondPlay.com and eSpecialNeeds.com are dedicated to toys and gear for kids with special needs. I want to get my visually-oriented Leo everything in Beyond Play's Sorting and Stacking section, and eSpecialNeeds's arts and crafts page. And Leo's wavy circular balance beam from Beyond Play, a birthday present from two years ago, is still in daily use. These two companies know what makes our kids happy. Unfortunately, special needs-specific gear can be expensive, e.g., Leo's path cost $200 and was a gift from a generous relative. But you can find equivalents to special needs and therapeutic toys in unexpected places. One of Leo's occupational therapists rarely pays full price for her balance, strength-building, and sensory gear, because she can usually find what she needs in the pilates and yoga sections at overstock outlets like TJ Maxx and Ross. And the best therapy balance ball I've ever found Leo was a $21 "Stability Ball" from Target rather than the same-size $79 version from a specialty company. You can also make toys and gear. Leo is a fan of sensory bins, which are containers filled with dried rice, beans, or other materials that Leo can plunge his hands into, spend time pouring or fiddling with, or in which we can hide small toys for him to find. And instead of buying Leo pre-made weighted pillows or vests -- the latter being particularly problematic since he grows so fast -- we get cheap pillows, and vests with pockets, filled them with (again) dried rice or beans, and sew the pillow and pockets shut. If you've got handy on tap, you can also make home versions of swings, balance beams, etc. -- don't be afraid to harness your inner MacGyver. Just Tell Me What to Buy! The folks at GoDandelion have compiled an excellent holiday gift guides roundup, so if you'd like more guidance, please hop on over! Audio books are one of my favorite gifts for Leo and his friends, as listening to them is something our families can while spending all that time driving between home, school, and therapy appointments. I also love audio books for Leo because they are one way to apply the Least Dangerous Assumption, and give him the benefit of the doubt. They let him listen to stories without the pressure of having to "listen to Mommy" or process pictures or video in addition to sound. And -- bonus -- he can listen to favorite stories like Dr. Seuss and The Very Hungry Caterpillar, over and over and over again, and can even control playback himself if the stories are on his iPad, iPod touch, or other iDevice/player. Some quirky kids like the Aspie teen Jacob from Jodi Picoult's novel House Rules can be more interested in tools than toys. Educational Innovations is my favorite site for gear- and science-minded kids, as their selection ranges from simple machines to Jacob's beloved forensics kits. Kids with autism are often drawn to Lego, which is not hard to find -- but did you know you can build your own custom Lego models? An opportunity to combine two obsessions! Does the child use a wheelchair? So do these two dolls: Avatar's Jake Sully, and Barbie's Paralympic Champion friend Becky. Would the kid enjoy a variety of activities? I remain grateful to a local business, My Busy Kits. Though she no longer produces the kits herself, co-founder, Lorraine (who now co-helms the powerhouse Apps resource site Moms With Apps) has left behind advice for creating these wonderful kits on your own. 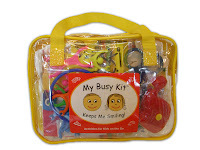 Leo and his sisters have always liked small laceboards, Wiki Stix, crayons markers, retractable tape measures (oooh yeah), black velvet coloring pages (which provide a sensory guide to help Leo stay in the lines), plastic scissors, activity pads, and a blank spiral notebook. I have been complimented on how well my children behave when we're out at restaurants -- when the truth is, they are often too busy playing with their My Busy Kits to be disruptive. Do you have favorite gifts, guides, or advice for finding gifts for kids and people with autism? Leave a comment below. I'm Not a Bad Parent ... Right?